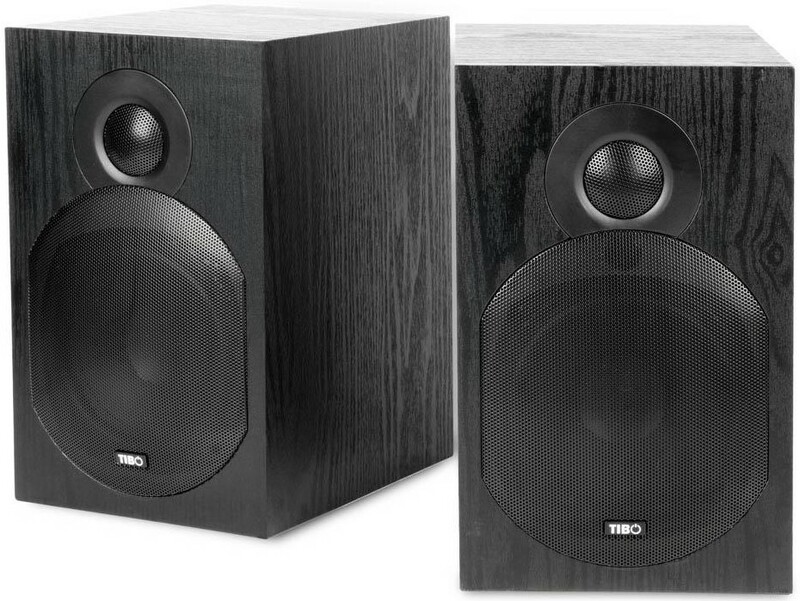 Largest Tibo Plus speaker, Plus 3.1 is a twin 55W Powered Bluetooth speaker with an elegant cabinet, made PC, studio, turntable, TV and DJ systems. Tibo Plus 3.1 Bluetooth active speaker system, is the largest in the plus series and provide remarkable sound in multiple set-ups. 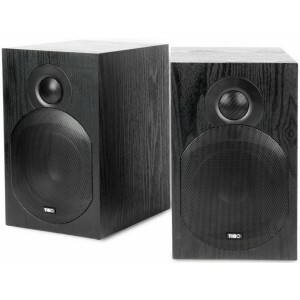 Supported by 2 x 55W amplifier, 32mm soft dome and 100mm woofer are a unique design, the Plus 3.1 powered Bluetooth speakers also come with standard RCA and 3.5mm connections to connect just about any Hi-Fi source. For TVs, CD/DVD, game consoles, and Blu-ray players there is an optical digital input. Still not enough bass? Use the sub output to connect to a subwoofer. With built-in amplification, there's no need for a separate amplifier. Containing a Class D digital amplifier, the Plus range is more than capable of filling a room with music. 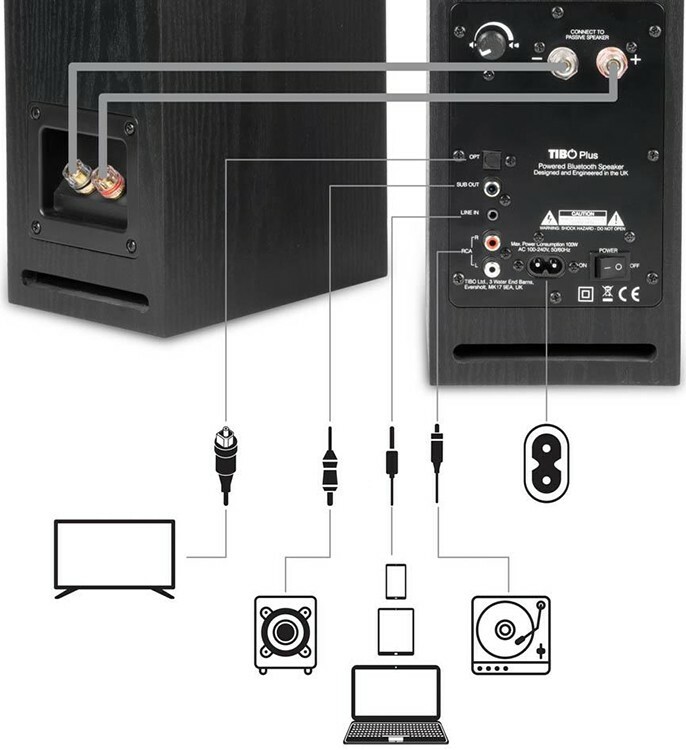 Simply plug the active speaker into the mains and connect the other, passive, speaker via conventional speaker cable. You can listen to music from just about any source - even via wireless Bluetooth using the TIBO Plus range. Simply pair the speakers with your Bluetooth enabled device and stream your music library, internet radio, or services like Spotify, TIDAL etc. at CD sound quality. The Plus 3.1 can be added to a smart home audio set-up by adding a TIBO Bond, part of the TIBO Ecosystem. You will be able to stream Worldwide digital internet radio via your own Wi-Fi and pre-sets for easy access to your favourite radio stations and online playlist. TIBO products offer the latest technology in both product development and design, delivering perfect sound in fully digital high-resolution audio. 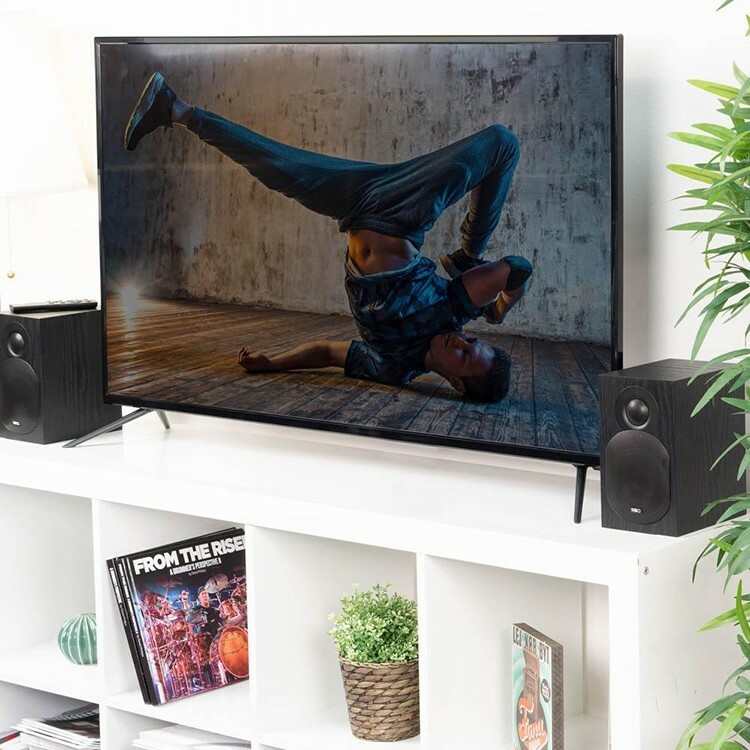 For speakers that blend quality sound with style and connectivity, the TIBO Plus range is a winner through and through. Box Contains pair of speakers, remote, cables.